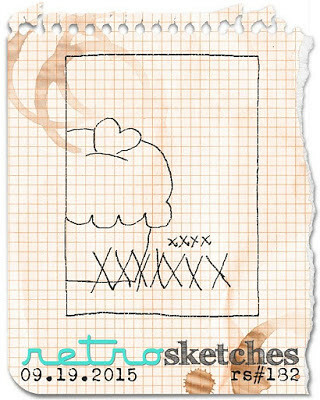 Quick card from earlier in the week, because I was itching to make something, but not wanting to spend a lot of time making it because I've been busy at work. I'd normally choose to spell out "you are," but I decided to do "U R" to conserve (i.e., hoard) the gold foil letter stickers. 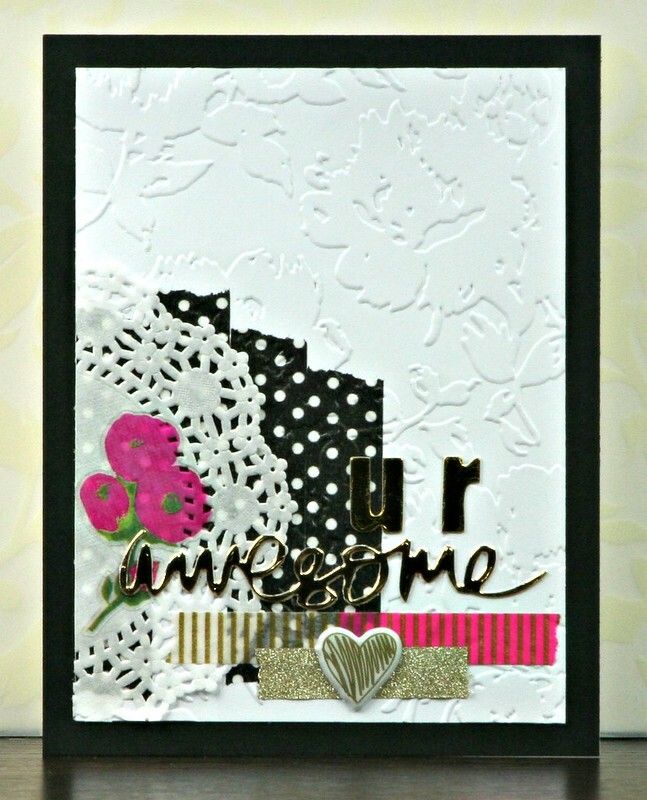 The "awesome" is die cut from Bazzill gold foil cardstock. Wonderful layers and texture on this card! This is pretty awesome! 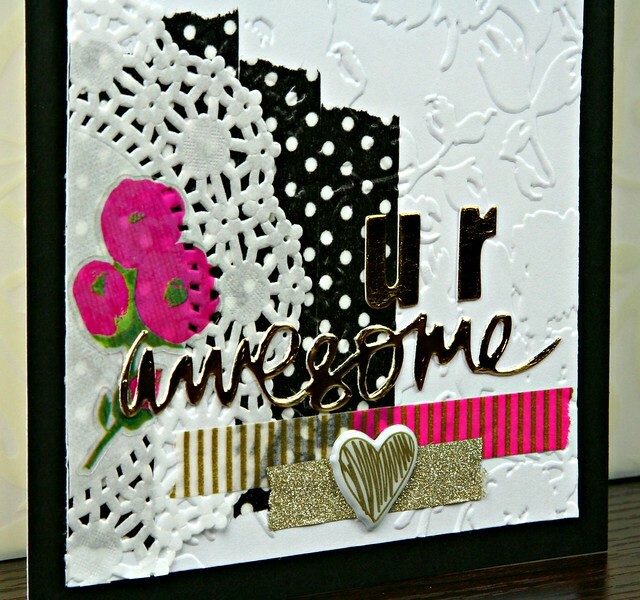 Love the texture from the embossing and the beautiful layers of your card.